Just about 3 days to go, MTV World Stage will be lively happening in Malaysia! Everything is set, JASON DERULO ("Want To Want Me" is definitely an addiction!) 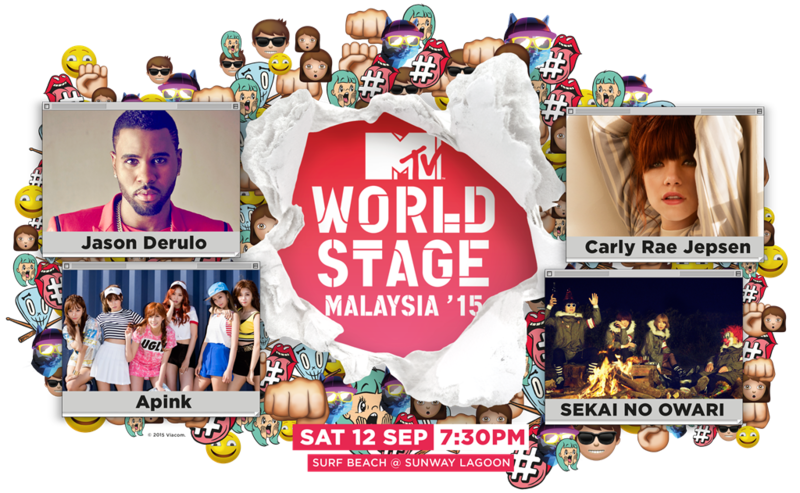 will join MTV’s announced line-up of performers for MTV World Stage Malaysia 2015 – Grammy®-nominated singer-songwriter, Carly Rae Jepsen (i am seriously really really really really like you Carly!) , Korea’s favorite K-pop idol female group, APINK (OMO "No! No! No! ", "Mr Chu" and "Remember" are all my favourite!!) and hottest Japanese band, SEKAI NO OWARI (Oh ok hehe not really into a Jpop lol). Recorded live for global telecast, the one-night only outdoor event is one of the biggest Southeast Asia music nights of the year, which brings multi-genre talents onto a single stage. It is also confirmed that STACY (OMG yup I VOTED for you Stacy like few timesssssss!!! Dying from happiness here!) is the Malaysia’s #MostWanted Act emerged from 28 local acts and she will the opening act of the overall show!! 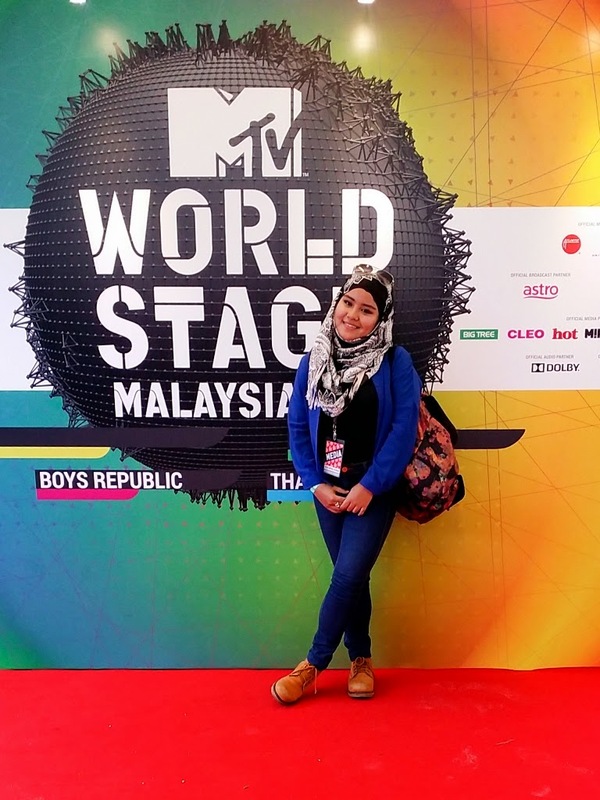 MTV World Stage Malaysia 2015 is presented by Sunway and supported by Tourism Malaysia. In Malaysia, it is ignited by Xpax, brought to you by Brickfields Asia College,Watsons Malaysia, supported by local broadcast partner, Astro, radio partners hitz fm, ERA fm and MY FM, with media partners Big Tree Outdoor, Cleo, EH!, Hype Malaysia, Selebriti Online, TimeOut KL and YG magazine.